Teen Science Nights are after-hour events at McWane Science Center in which middle and high school students explore different science-related topics. Through this program, teens have explored the secrets of the human brain, been introduced to nanotechnology and worked as problem-solving engineers! Each Teen Science Night features guest speakers, hands-on science activities, interaction with McWane’s exhibits, food and fun! Our next event will be “Teens and Tech”, which will take place on Saturday June 13th (5:00pm-9:00pm). 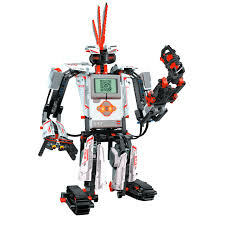 During the event the teens will learn how to program LEGO Ev3 robots and design code in Python and Scratch. They will also be introduced to online resources that will help them to continue their coding experiences at home. The event is free, but due to limited capacity, seats have to be reserved ahead of time. In order to reserve a seat, contact our Reservations Department at (205) 714-8414. “Teens and Tech” is made possible by the generosity of Best Buy.